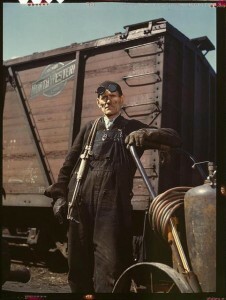 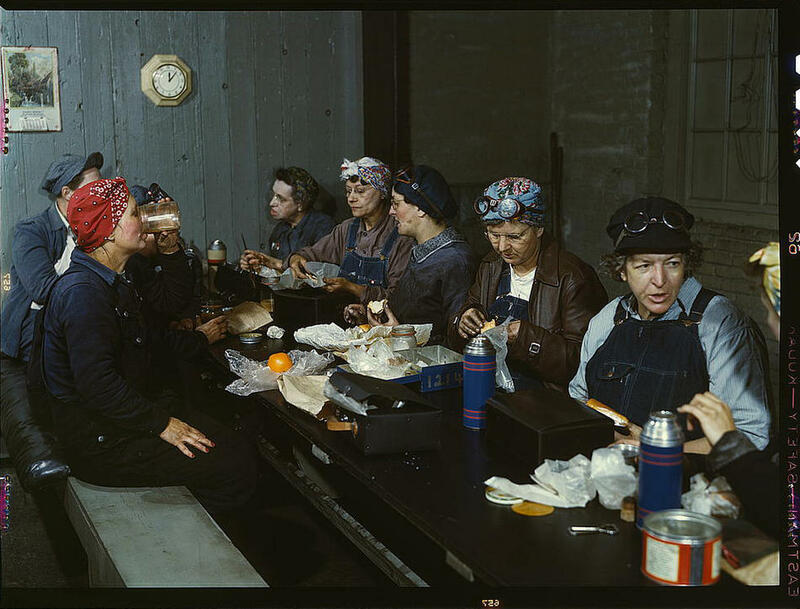 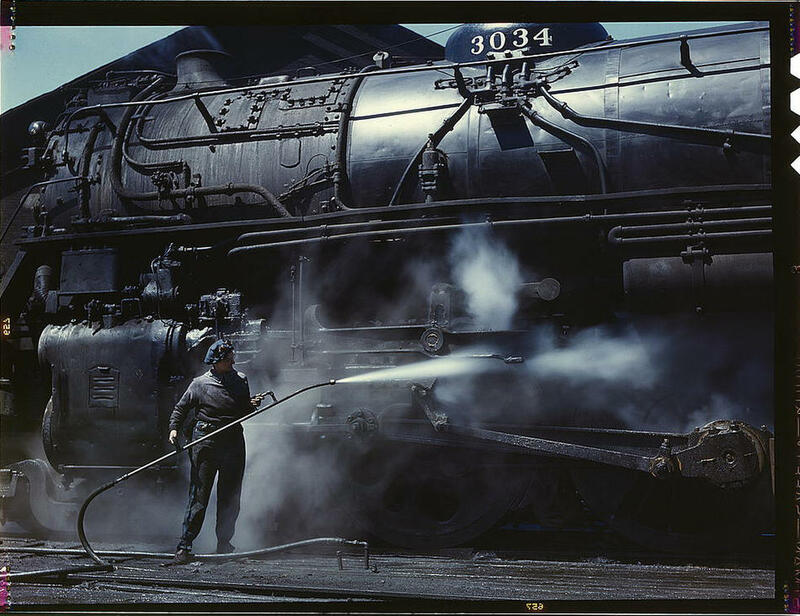 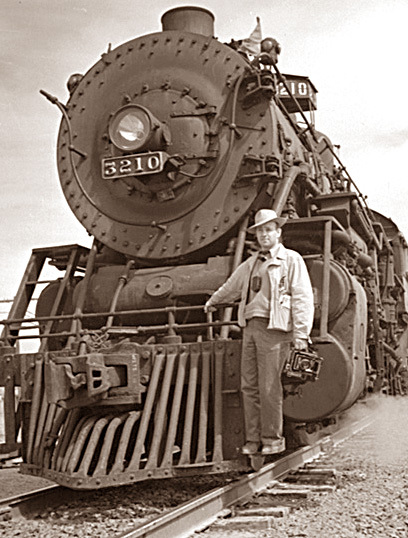 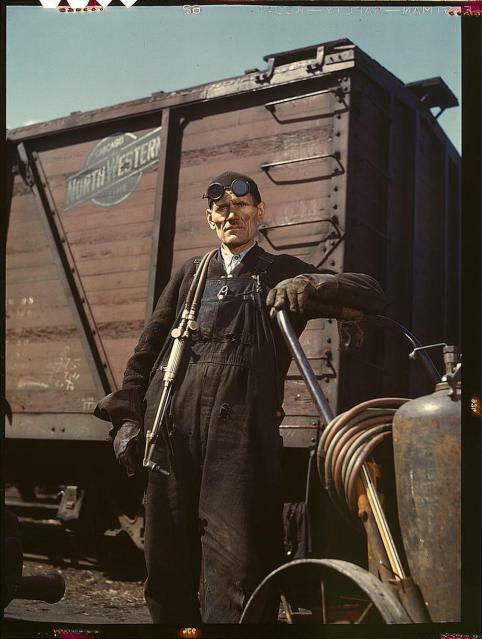 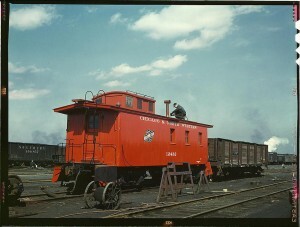 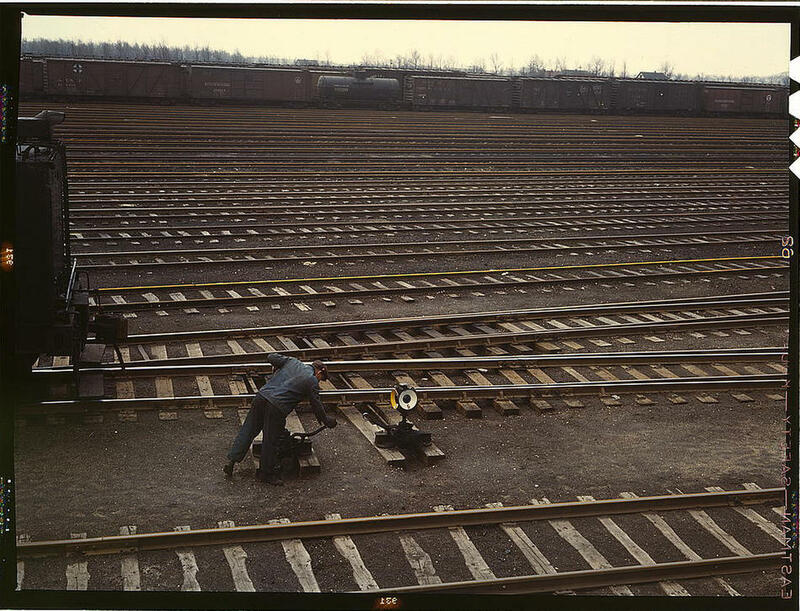 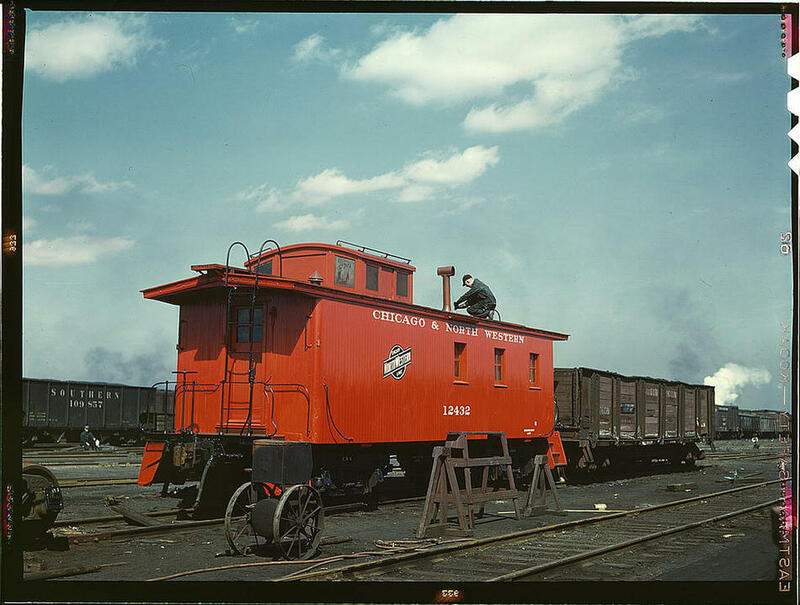 Here are some colour images of the US railroads during 1943. The images show women doing mens’ work..and winning! 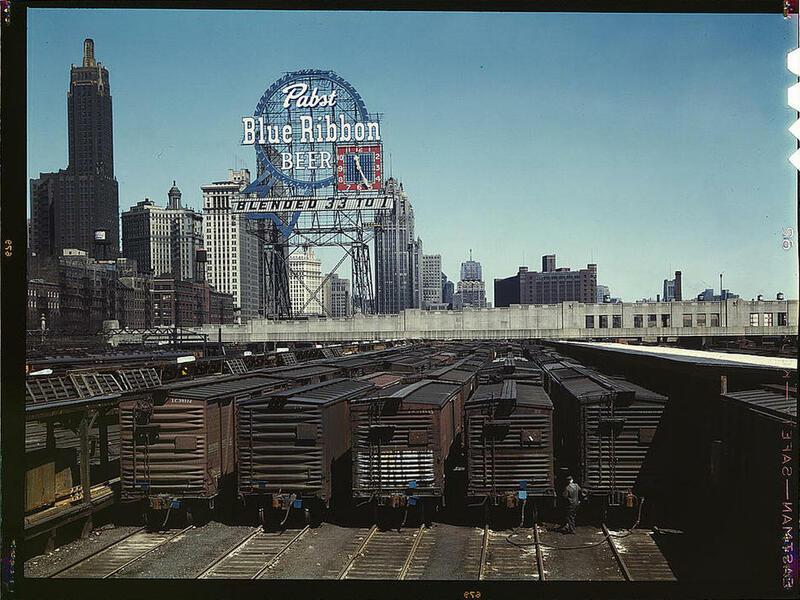 Chicago was the industrial centre of the USA for most of the 19C and 20C. 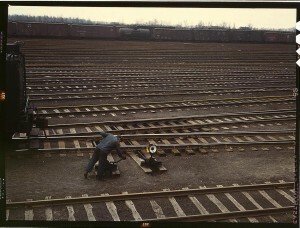 It’s position made it the gate-way for the mid-west, and it was the railhead for freight and cattle. 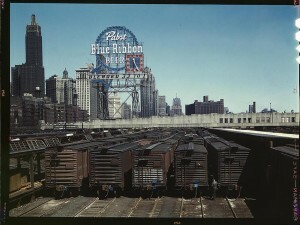 Accordingly, the city had enormous stock yards and rail yards for managing this traffic. These pictures are by the railway photographer, Jack Deleno.